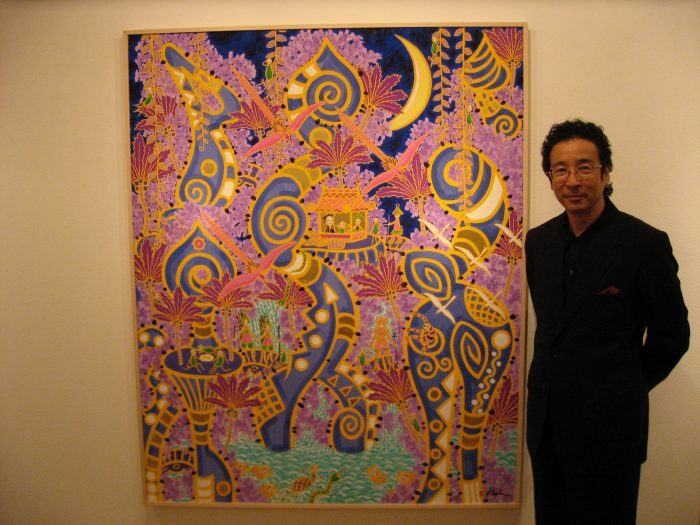 Rei Torii is a Tokyo-born Japanese artist whose exhibitions always draw a great crowd. “Albert Einstein and Niels Bohr debated, but I agree with both of them. Their theories are all there in the Hotsuma,” says Torii, who in 2005 published his own contemporary version of The Story of Hotsuma Tsutae, (800 BC–300 AD) the epic poem of Japanese mythical history, written in the ancient Japanese language sometime between the 8th century BC and the 3rd century AD. “This book and my paintings depict the Japanese spirit and explain the origins of Space, Time and Matter.” Torii spins a fascinating tale in his book and pictures. “The Hotsuma and physicist Niels Bohr’s quantum theory coil into the same spiral: both trace the beginning of the universe to spins. 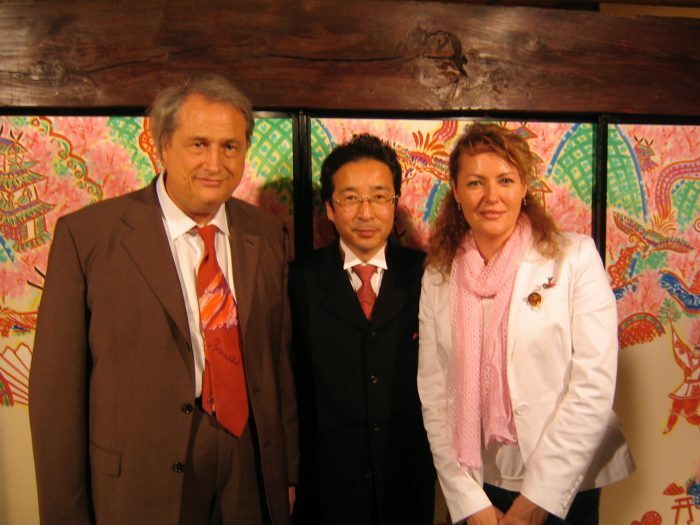 The book and my paintings convey the true Japanese spirit. I see myself as a contemporary samurai whose paintbrush is his sword. 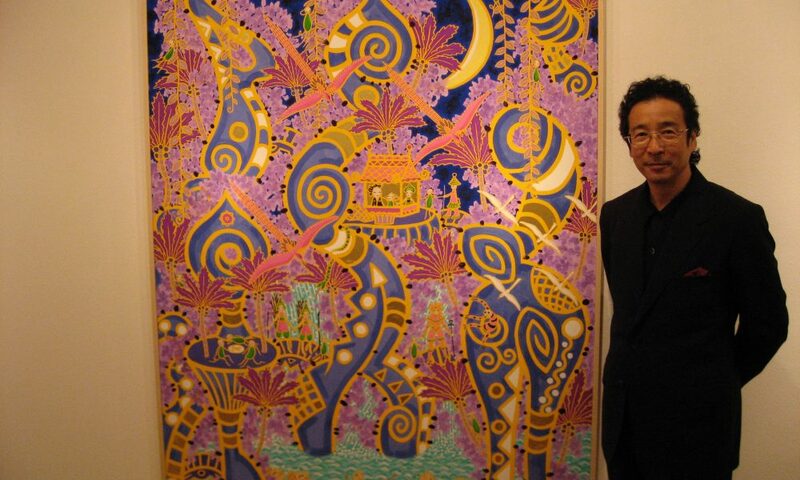 I use paintings as my reconnections to the galaxy and my inspirations are in the Heian period yamato-e, which are the era’s Japanese paintings. Let me tell you: They are far out there!” he chuckles. He doesn’t have to: just like nature, they are perfect.